Lyft Inc. and the Jacksonville Aviation Authority have signed a contract to allow the ride sharing company to now legally pick up riders at the Jacksonville International Airport. Both the city of Jacksonville and the state of Florida are exploring legislation to regulate transportation networking companies like Lyft. JAA CEO Steve Grossman told an Aviation Business editor that it was important to make this agreement with Lyft. The agreement between JAA and Lyft includes certain rules, including that Lyft drivers must have a valid Florida driver's license and have completed a DMV record check. The ride sharing company will also use Geo-Fence technology in order to keep accuracy of passenger drop offs and pick ups high. 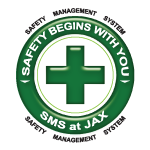 This is also a safety feature important to the airport and JAA as the driver's phone will ping the airport when the vehicle arrives on the property, recording the activity. "This is an important transportation feature for our customers, and equally important protection for the airport and the authority,” JAA Chairman Patrick Kilbane told Aviation Business. Lyft's senior manager of airports and venues Kirk Safford emphasized the importance of such regulations in the agreement and commended the Jacksonville Aviation Authority for the collaboration. “We’re thrilled with this agreement that will bring Lyft’s safe, reliable, and affordable transportation options to the millions of passengers who travel through Jacksonville International Airport each year. 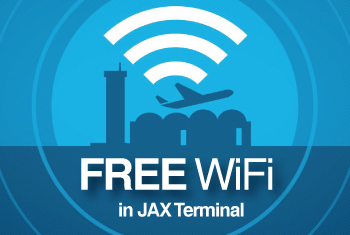 We’re excited to be the first transportation network company to operate at JAX and would like to thank Steve Grossman and his staff for their collaborative work in creating this partnership,” the senior manager said. The agreement goes into effect on May 1, and will continue through April 30 of 2018.